* Our products include a 30 Day Money Back Guarantee and 1 Year Exchange. Super Power Supply® pays for shipping / Email us if you have an issue! * All Products trademarked Super Power Supply® are sold exclusively by Super Power Supply®. * We ship your order the same or next business day (Amazon order processing time varies)! 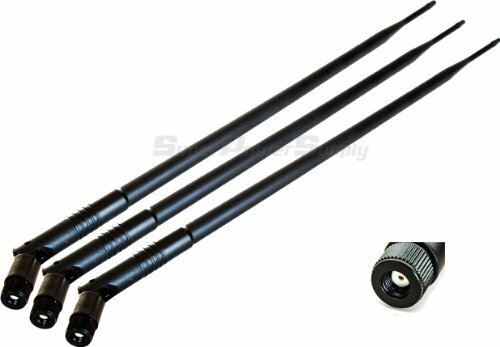 This kit allows you to add high gain external antennas to many wireless routers that do not normally support removable antennas. In most cases just open up the router, locate the connectors, connect the leads, and drill out holes in the router's enclosure for the external connector and mount. Fits all Mini PCIe cards with a Hirose Ufl or Ipex connector.